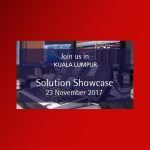 Speakerbus today announced their further expansion into Asia with the opening of an office in Kuala Lumpur, Malaysia. This significant milestone is part of the company’s strategic phased growth plan into emerging markets. 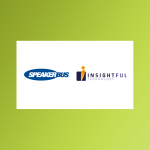 Speakerbus believe that it is essential to have much closer personal interaction with their growing client base, the new facility will enable the business to provide much needed ‘hands-on’ support to their users based across this important region. Speakerbus’ innovative trader voice solutions empower organisations to collaborate faster and make more informed decisions. The firm is uniquely positioned to address their client’s business needs with cost-effective ‘right size’ physical & virtual endpoints in conjunction with ‘best of breed’ customer support services. Speakerbus’ communication solutions enable fast and efficient voice collaboration with external counterparties and colleagues, while supporting business growth and regulatory compliance directives such as MiFID II and Dodd Frank.